~ by artveronica on January 23, 2015. I love the balance of black figures on grey, with the drizzle effect (like a watercolour). 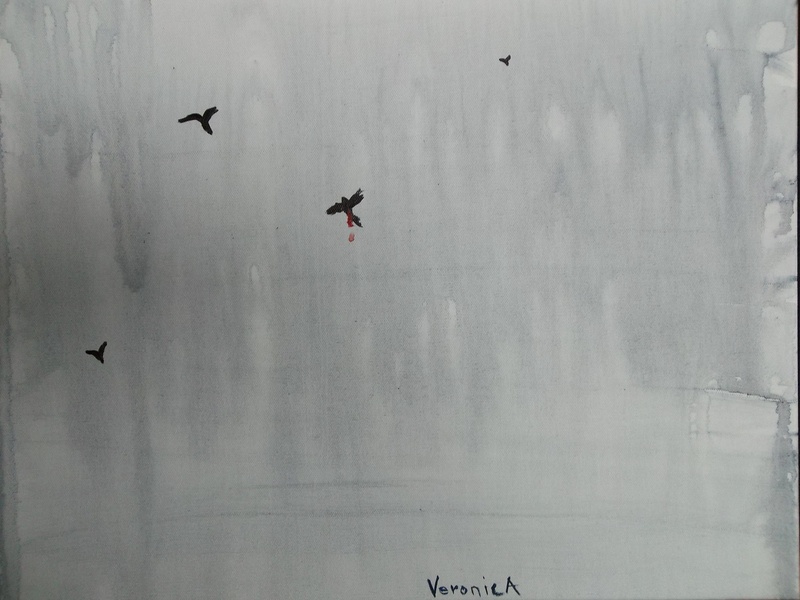 It is hard to tell if the birds are flying in a grey sky or if they are flying up and away from a misty forest reflected on a pond… or some combination of both? 7 stars out of 5… great work, V! Quite beautiful, hauntingly emotional. This is really great work, Ms. V. I agree with the 7 out of 5 stars. Stays with you. Very compelling. This is lovely – haunting, poignant. So pleased I finally checked out your site and thank you for liking my posts too.